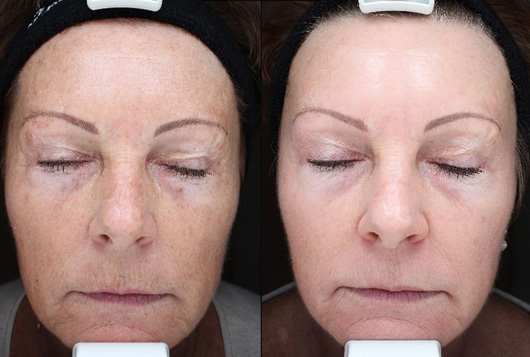 The fantastic Obagi Nu Derm treatment system along with Botox and Dermal Fillers completes the perfect triumvirate needed for the ideal facial rejuvenation. It is not enough to just remove the wrinkles, and improve the shape and contour of the face, we also have to improve the condition of the skin itself. Obagi as we have always said, is “A kind of miracle for the skin”, and indeed this amazing system of medical creams is the holy grail in the treatment of melasma and pigmentations as well as sundamage of the skin. It is also the best answer on the aesthetic medicine market for skin rejuvenation, pores, treating acne and acne scarring. After an enjoyable treatment period of 12 weeks, which can be described as a slow and light peel at home, the skin is left blemish free with that shine long forgotten. This is a treatment which will leave your friends and family left wondering just why you look so amazing. The Obagi Nu-derm system and the Obagi Blue peels are transforming the world of medical skin peeling. The other ways of rejuvenating and exfoliating the skin like the TCA peels and glycolic peels are great and can achieve good results, but in the world of medical skin treatments Obagi is the definite king. 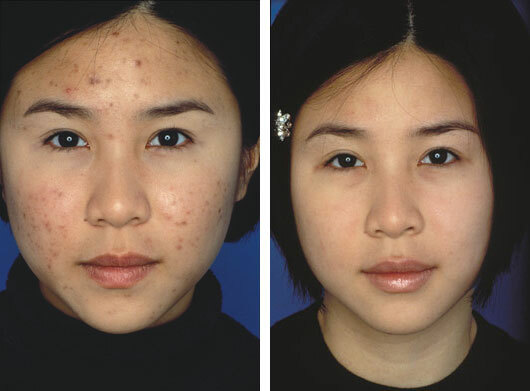 The active prescription strength ingredients hydroquinone and tretinoin, along with the unique patented deep penetrating system make Obagi a truly special treatment. They take chemical peels to a different level and give results which take the skin through an amazing transformation as a direct result of a transformation at a deeper cellular level of the skin. 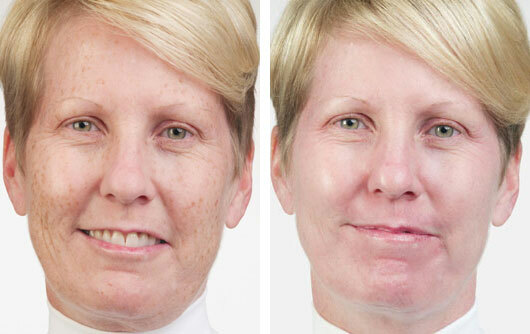 Obagi is a true all rounder, and can peel, rejuvenate and de-pigment any type of skin safely. So for darker skin types, this really is the holy grail. With our 10 year experience with Obagi treatments, we now find that in 90% of cases a 12 week course of the Obagi Nu derm system alone is enough for perfect results without the need of the Obagi blue peel, and indeed as the side effects with the Obagi Nu Derm system are so limited and manageable, if a further treatment is required after 12 weeks, we often opt for another 12 weeks of the system itself rather than the blue peel. A thorough assessment of each individual patient, addressing the specific needs of the skin itself is very important, and hence each patient is placed on a tailor made regime of Obagi creams, with strict instruction from Dr Milojevic. A thorough follow up of each patient during the 12 week period guarantees great results with this treatment at the Milo clinic. We are very proud of this revolutionary skin treatment and of the 100% rate of satisfaction among our loyal patients. 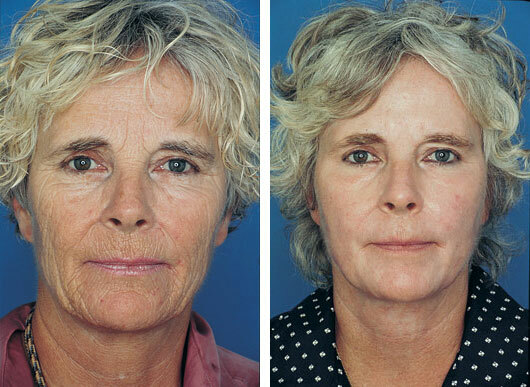 The ideal areas to treat with the Obagi Nu-Derm system is: the face and neck. We can rejuvenate the skin, improve skin quality, remove wrinkles, improve acne scarring and remove sun spots as well as mild and severe pigmentations. The skin is the largest organ in the body. It takes as long as 5-6 weeks to fully regenerate, with the tough outer layer of the skin, the stratum corneum, acting as an impenetrable barrier protecting the body from injury, infection, pollution and the ever more harmful sun rays. The outer layer of the skin also acts as a diary of sorts, recording any past events like severe sunburn or acne scarring, and becoming thicker with the passing years. Because the skin takes so long to regenerate, these old memories are never removed, and the fresh new skin is never given the chance to come to the surface. With the process of slow peeling at home with Obagi, we are speeding up the regeneration of the skin, and by wiping out some of these old memories, we are allowing the healthy new skin to come to the surface. In addition the process of chemical peeling induces new collagen to rush up to the surface of the skin. A good analogy is that of pruning a withering rose, achieving a subsequent new growth and fresh beauty. What makes the Obagi system so special are it’s active ingredients hydroquinone and tretinoin. Hydroquinone stops the melanocytes in the skin from producing any more pigment and the tretinoin, which is a Vitamin A based ingredient, takes out any excess pigmentation already in the skin as well as removing wrinkles and rejuvenating the skin. The whole system exfoliates the skin, and the unique patented Deep Penetrating system takes these ingredients much deeper than any other skin peel. During your consultation, we will tailor the treatment specifically to your needs and skin type whether it is dry, oily, mixed or even very sensitive. We will then put you on a personalised 12-week course of Obagi Nu-Derm creams which contain the very important tretinoin and hydroquinone ingredients. You will need to apply about 7 creams every morning and evening, including 4 creams with active ingredients, and tonic, a hydrating cream and an SPF 50 cream. As long as the patient continues the use of the prescribed creams and uses a daily sun protection factor, the results can be very long lasting and we will prescribe a maintenance regime to ensure this at the end of your treatment. A healthy diet, exercise and lifestyle play a big part in this. There are no side effects with this treatment which would require you to stay at home or not be able to go to work. The side effects such as light dryness , redness and very light peeling of the skin are manageable and only last for the first 2-3 weeks of the treatment. As per your requirement, we can control the level of side effects with a strict adjustment of the dose of the creams, and any signs described can be reduced within hours by applying special Vit C Obagi serums and the Elastiderm creams giving seamless side effect free results. 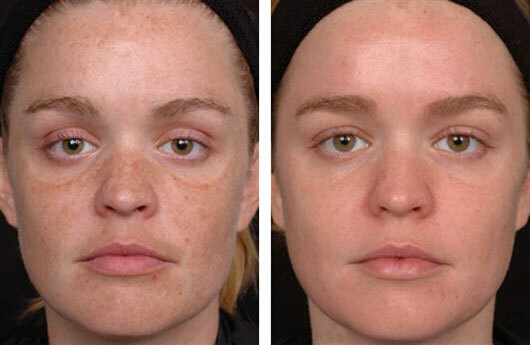 You can receive this Obagi skin peel treatment in our London clinic, located on Harley Street. Enquire about it today!